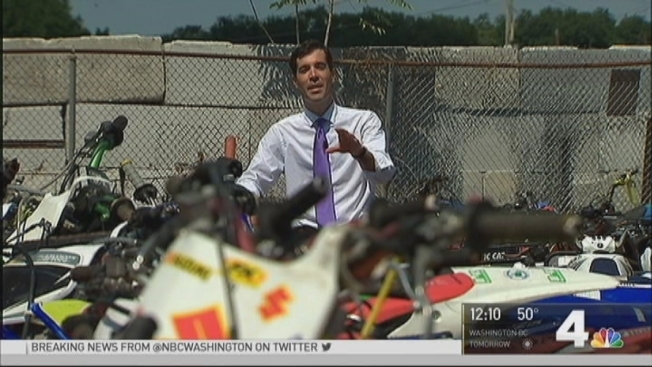 Police throughout the Washington, D.C.-region are responding to a fast rising number of dirt bike thefts, according to a review of police reports by the News4 I-Team. At least 3,000 off-road vehicles, including motocross bikes, were reported stolen in Virginia and Maryland in each of the past three years. 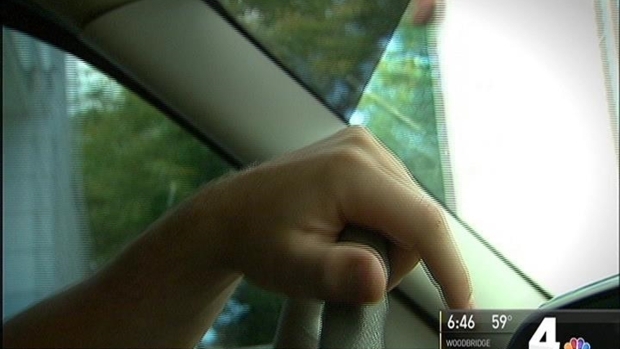 Some of the thefts included break-ins at dealerships and homes. In at least one case, a Baltimore dirt bike owner was shot and wounded in a robbery attemptas he loaded his son’s bike into the family truck. The theft problem has become so significant, at least two Maryland police departments established specialized task forces to combat the threat. Police throughout the Washington, D.C.-region are responding to a fast rising number of dirt bike thefts. News4 I-Team Reporter Scott MacFarlane explains. The Hagerstown Police Department operates a “bait bike” program to deter thefts. The agency deployed several GPS-monitored decoy bikes in high crime areas in the city, to help detectives quickly track and arrest thieves. Hagerstown Police Detective Nick Varner said the crooks often change the appearance or modify the serial number on the bikes after the theft to cover their tracks. “Almost always the bike has been changed or modified so that it doesn't look the same," he said. The Baltimore Police Department established a bike theft task force, including three specially trained investigators who probe cases of suspected theft and research the histories of recovered dirt bikes. Sgt. Christopher Warren, who heads the unit, said the vast majority of stolen bikes recovered in Baltimore were taken from owners in other counties and other states. The city police department stores hundreds of recovered bikes at an agency impound lot. The task force is already making progress in deterring thefts and the illegal riding of dirt bikes on city streets, Warren said. In one recent theft in Baltimore, the bike owner was shot through the back as he loaded his son’s bike for a day of riding at Maryland’s Budds Creek motocross track. The owner, who requested anonymity, was wounded through the back and stomach, despite handing over the bike to the robbers, according to a police report. John Kernan, a Montgomery County dirt bike owner, said armed robbers broke into his garage to steal some of his bikes. Although he confronted the robbers, they didn’t shoot at him, Kernan said. Dirt bike thieves are increasingly bold and violent, he said. Kernan now stores his bikes inside his dining room, to help deter future thefts. “The only thing you can do is keep them in your house and hope for the best," he said.